How to generate and run unit tests outside the project folder (in MS visual studio) ? 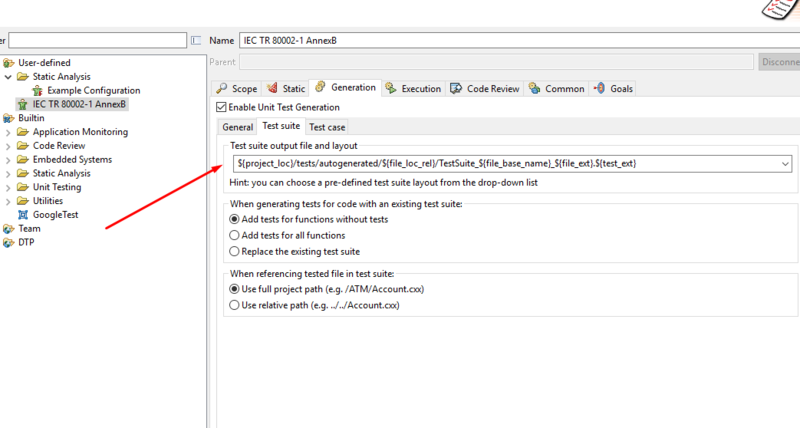 How to generate and run unit tests outside the project folder (in MS visual studio) ? 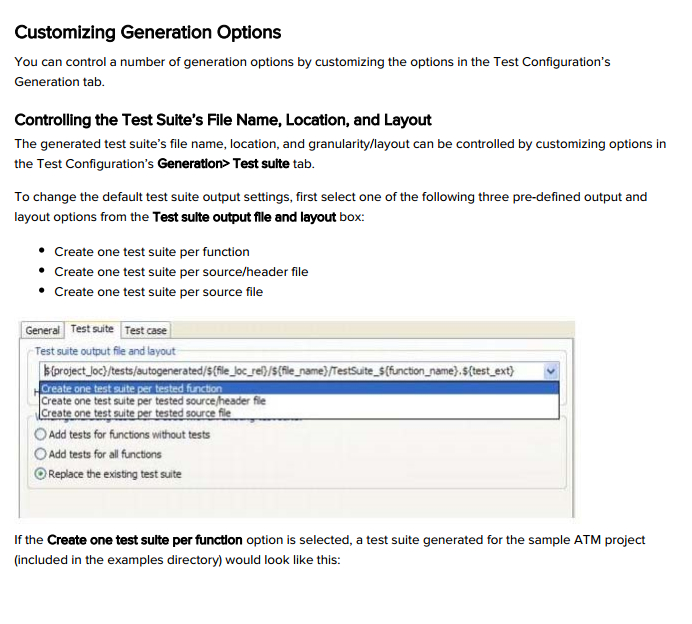 Currently I am not able generate test cases using parasoft ,in a folder which is outside the CPP project. what are settings that needs to be done ? Please suggest. Hello @srinath_karwal what version of C/C++ test are you using? Also could you please provide information of your environment setup? I am using version 10.3. Currently I am using default settings. But I am trying to create unit tests in a common folder for all the projects in a solution. Is there any way to achieve this ? If yes, let me know the setup that is required. For more information please reference the user guide. Below i have screen shot of possible issue.